Remove, clean and dry your summer pool cover and store in a dry place to avoid any deterioration. To keep leaves and debris out of the swimming pool, it is important to fit a winter debris cover. If you do not have a winter cover, remove the leaves and other detritus regularly. The pH level of the swimming pool needs to be increased over winter as rainwater, which tends to be slightly acidic, can dilute the pool water. So ensure your pH is between 7.6 and 7.8. Due to the dilution of the water in outside swimming pools, a pre-filled chlorine floating dispenser set on the low setting can be used. This will add a small amount of chlorine to your pool throughout the winter to complement your algaecide. It is necessary to reduce the level of the pool water by 150mm – 200mm to allow for the level of the pool water to increase due to the rainwater. To avoid the pipes being filled with rainwater, place bungs into the water outlets. To help take the pressure off the swimming pool sides when ice forms, partially submerge plastic containers in the water. This can also be done in the skimmer as the rainwater builds up inside. To avoid any frost damage, turn off the filtration system and drain the pumps and filters. If the pump is in a room that may get damp and freeze over the winter, disconnect the pipes from the pump and place in a warm area. If you live in a soft water area, balance the calcium hardness levels to the minimum 200ppm. 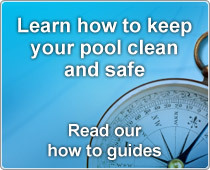 This will ensure the structure of your pool is protected. Two chemicals to use when winterising your pool are: Blue Horizons Ultimate Winter Time and Kleen Pool Longlife Algaecide. The Blue Horizons Ultimate Winter Time is a copper free winter algaecide that helps prevent algae growth. This is also useful if you are trying to prevent scale formation and staining. The five litre container allows you to treat up to 15,000 gallons and is compatible with other swimming pool chemicals, including chlorine and bromine. When adding the algaecide to the pool, ensure that the filtration system is running so the chemicals become evenly distributed. Before using the Ultimate Winter Time treatment, remove any existing algae or debris from the pool and shock dose your pool with either Blue Horizons Rapid or Granular Shock to achieve a chlorine level of 10ppm. Kleen Pool Longlife Algaecide is a copper based algaecide, preventing the growth of algae for up to six months. The one litre container can treat 6200 gallons and can be used in both summer and winter. This algaecide only requires one application and will keep your pool free of most algae. Add the Kleen Pool algaecide directly to the pool water. Swimming pools should be descaled before using the algaecide as scaled polls can increase the pH above the recommended range. 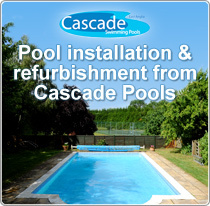 For the algaecide to be most effective, ensure the pool pH is within the range 7.2 – 7.6. For a full guide from Blue Horizons on preparing your pool for the winter, download their pdf guide here.